Phokwane Local Municipality is named after Queen “Phokwane” the wife of Kgosi Galeshewe of the Barolong boo Ra-Tlhaping tribe. Phokwane is nestled in the lush green delta of the Hartswater region and boasts the second largest irrigation scheme in the Southern Hemisphere namely the Vaalharts Irrigation Scheme. The municipality is situated 125 km on the N18 to Vryburg. The administrative seat of the municipality is Hartswater. The municipality has a total population of 61,321 inhabitants of whom majority is found in the peri-urban areas of the municipality. A significant characteristic of the Phokwane population is the youth who account for 33% (ages between 15-35) of the total population. The economy of Phokwane is based on Agriculture, Community development, retail, private household and informal sectors. These five sectors alone provide jobs to 11,160 persons within the municipal area. This accouts for 65% of employment within Phokwane. In terms of agriculture Phokwane exports grape, citrus and olive products. The dominant languages in the area are Setswana, Afrikaans and Isixhosa with each of the languages having 70%, 25% and5%users respectively. 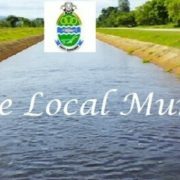 Phokwane Local Municipality is part of Frances Baard District Municipality. Description: The Phokwane Local Municipality is a Category B municipality situated within the Frances Baard District in the Northern Cape Province. It is the smallest of the four municipalities in the district, making up 6% of its geographical area. The majority of inhabitants are found in the peri-urban areas of the municipality. In terms of agriculture, Phokwane exports grape, citrus and olive products.